When you're working hard to build muscle and improve your physique, the last thing you want to do is sabotage your efforts by filling your diet with foods that make it harder. 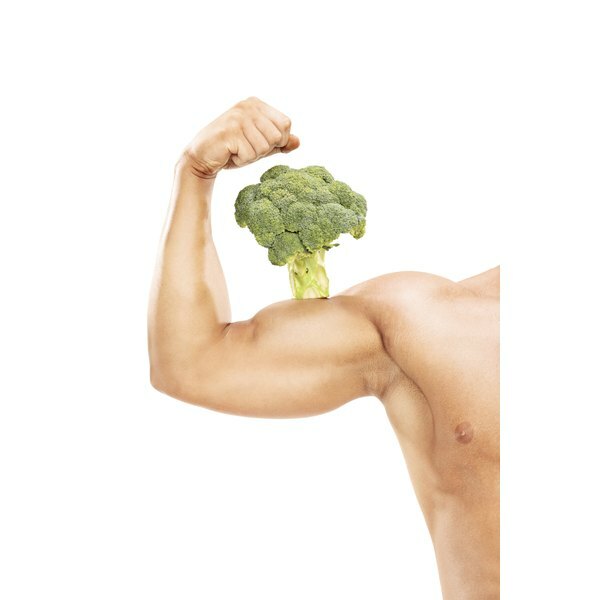 Refined carbs, foods with added sugar, unhealthy fats and processed meats may impact strength, muscle growth and physique. Consult a dietitian to help you design a diet to meet your specific needs to improve your gains and performance. Refined grains are a type of processed food that takes the whole grain and strips it of its fiber, vitamins and minerals. This includes foods such as white bread and pasta, white rice, most crackers and ready-to-eat breakfast cereals, pretzels, pancakes and waffles. In addition to being nutritionally inferior to whole grains, these types of processed carbs digest rapidly, causing spikes in blood sugar, which is linked to unhealthy weight gain, according to the Harvard School of Public Health. While you may be trying to gain pounds when you're lifting heavy weights, you want to gain muscle, not fat. Soda, cake, cookies, candy and other sweets that contain added sugars, such as granulated sugar, high-fructose corn syrup or sugar solids, have a similar effect on blood sugar as refined carbs. But that's not the only reason you want to avoid foods with added sugar. This is especially true if you're a male bodybuilder. A heavy sugar load may decrease testosterone levels, according to a 2013 study published in Clinical Endocrinology, and low testosterone levels may impair muscle growth. Plus, these types of foods provide calories without any nutritional value. You need to eat good food sources of protein when lifting weights to build muscle. Although they can help you meet your daily protein quota, processed meats such as deli meat, hot dogs and sausage are high in sodium. If you're trying to shred up before a competition, consuming high-sodium meats may lead to fluid retention, which may impact muscle definition. In addition to working out your biceps and quads, regular exercise, specifically aerobic exercise, also gives your heart a good workout. A high intake of saturated and trans fats increases risk of heart disease. You don't want to negate any of the heart-health benefits you get from your exercise by filling your diet with bacon, butter, whole milk, stick margarine, baked goods and fried foods, so it's best to limit your intake.